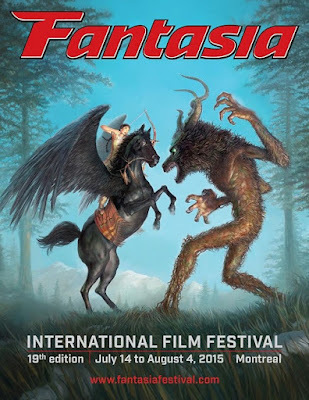 The 19th edition of the Fantasia International Film Festival (Fantasia), presented by Ubisoft and Anchor Bay Entertainment Canada, will soon be stunning Montreal with three weeks of cinematic ingenuity from July 14 until August 4, 2015. Fantasia's complete lineup of programming and special events have been revealed, and to help me shape my schedule, here's a quick preview of some of the Second Wave announcements. Synopses courtesy of Fantasia. Anguish (USA, dir. 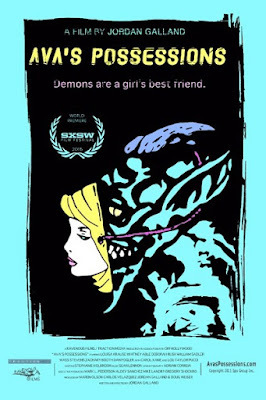 Sonny Mallhi)—The directorial debut of Sonny Mallhi, producer of such singular horror works as The Strangers and At the Devil’s Door. Anguish is a frightening and emotionally resonant film that offers supernatural explanations for debilitating adolescent mental illness, featuring a powerhouse lead performance by Ryan Simpkins (A Single Man). World Premiere. IMDb. Ava's Possessions (USA, dir. Jordan Galland)—Ava is recovering from demonic possession. With no memory of the past month, she is forced to attend a Spirit Possessions Anonymous support group. Ava's life was hijacked by a demon, now it's time to get it back in this horror farce from the creator of Fantasia favorite Alter Egos. Official Selection: SXSW. Canadian Premiere. IMDb. Facebook. Nicholas Bell at Ioncinema doesn't feel Ava's Possessions is entirely successful, but does commend the impressive "look of the film, often awash in a neon glow, enhanced superbly by a great score from Sean Lennon." Rob Hunter concurs at FilmSchoolRejects, stating: "Ava's Possessions isn't a bad film by any stretch, but it's frustrating to watch it plod along while an abundance of promise sits just outside of the frame." Bite (Canada, dir. Chad Archibald)—The team behind such Canadian horror breakouts at The Drownsman, Anti-Social, Septic Man and Ejecta are back with a brand new monster, a lot of flair and a heck of a strong cringe factor. World Premiere. Official site. IMDb. Facebook. Børning (Norway, dir. Hallvard Bræin)—Roy is mad about cars and is soon challenged in an illegal race across the length of Norway. Fasten your seatbelts (well, it's the law!) for an old-fashioned action-packed car race flick, faster than Cannonball Run and funnier than Smokey and the Bandit! North American Premiere. IMDb. Facebook. Bridgend (Denmark, dir. Jeppe Rønde)—Teenage Sara arrives with her single father to a small village in the Welsh valley of Bridgend County, which is haunted by suicides amongst its young inhabitants. She falls dangerously in love with one of the troubled boys while her dad as the new town policeman tries to solve the mystery. This powerful, shattering film (a recent Tribeca Film Festival award winner for Best Actress, Best Cinematography and Best Editing) is based on true events. Canadian Premiere. IMDb. Facebook [Danish]. Guy Lodge praises at Variety: "Already heady stuff as a social document, Bridgend doesn't exactly tread lightly as a mood piece: The exquisite drabness of its images combine to formidably stern effect with its heavy-weather sound design and the expert electronic-orchestral aggression of French producer Mondkopf's score. This is ripped-from-the-headlines cinema reformulated as real-world horror film, with a shivery stylistic nod to the crime drama of Rønde's homeland. Even when the director pushes too far … the film's formal severity feels appropriately claustrophobic—another form of authority closing in on the light." 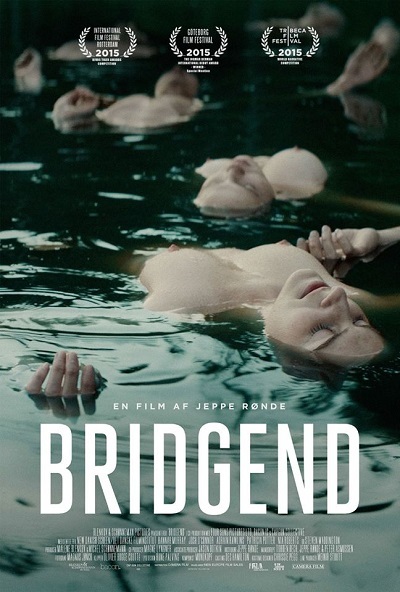 In complete opposition, Neil Young of The Hollywood Reporter criticizes: "A textbook example of how not to turn real-life headlines into big-screen drama, Jeppe Rønde's Bridgend is a toxic combination of the laughable and the reprehensible. A Danish production entirely shot and set in the Welsh area where more than 75 people—mostly teenagers and young adults—have committed suicide since 2009, it's a horribly misjudged fictional-feature debut from acclaimed documentarian Jeppe Rønde. 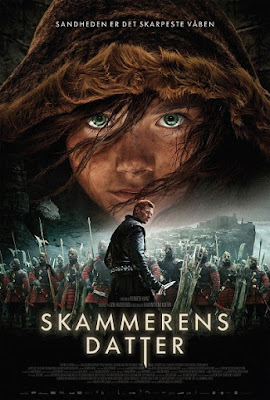 The presence of Game of Thrones' Hannah Murray in the central role may yield box-office interest in receptive territories, but otherwise this is a picture too clumsy for adults, too glum for juniors." 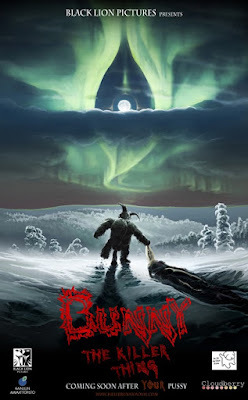 Bunny the Killer Thing (Finland, dir. Joonas Makkonen)—You've surely seen the jaw-dropping trailer by now, or at the least, heard a breathless account of it. Nothing can prepare for the lunacy of the actual film. Oh, Finland. Winner of the Madness Award for Best Film at the 2015 Nocturna Madrid International Fantastic Film Festival. North American Premiere. Official site. IMDb. Facebook. Cherry Tree (Ireland, dir. David Keating)—David Keating burst onto the international genre cinema scene with his chilling 2010 occult horror film Wakewood. Now, he's returned, re-teaming with screenwriter Brendan McCarthy (who, as a producer, was also behind Let Us Prey and this year's Sundance hit The Hallow) to deliver a demonic tale of desperate good intentions gone horribly, horribly bad. World Premiere. Official site. IMDb. Cop Car (USA, dir. Jon Watts)—A pair of kids stumble across an unoccupied cop car, hop in and take it on a joyride across town, setting in motion a tense game of cat and mouse between them and a particularly corrupt and distinctly homicidal police officer (Kevin Bacon). Official Selection Sundance, Edinburgh International Film Festival. Canadian Premiere. IMDb. Wikipedia. Facebook. 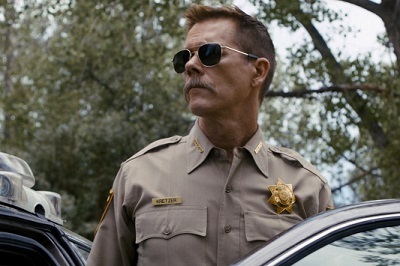 Variety's Peter DeBruge labels Jon Watts' Cop Car "B-movie gold" in this "tight, easily marketable genre exercise that pushes its lean premise and all-around disrespect for authority to entertaining extremes, taking wicked delight in imagining what might happen if two 10-year-olds were to stumble upon an abandoned police cruiser and take it for a joyride." Todd McCarthy is less enthused at The Hollywood Reporter, and finds the film "seriously imagination-challenged", wasteful of its "decent premise." Crimson Whale / Hwa-san-go-rae (South Korea, dir. Park Hye-mi)—A tough, empathic little marvel of science-fantasy without illusions, simple yet satisfyingly solid in its design and execution, Crimson Whale marks Park Hye-mi as an important new talent in Korean animation. Canadian premiere. 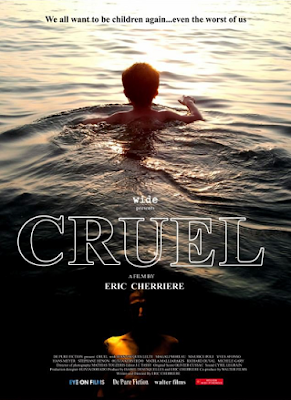 Cruel (France, dir. Eric Cherrière)—For years, timid Pierre Tardieu has been brutally slaughtering men and women without ever getting caught. The time to obtain his long due recognition has come. Crime novelist Eric Cherrière takes us on a dark journey into the disturbed mind of a serial killer. Canadian Premiere. IMDb. At The Hollywood Reporter, Elizabeth Kerr considers Cruel "a meticulously crafted and mesmerizing deconstruction of the mind of a murderer" that is "violent without being needlessly explicit and curious without being sensational." She adds: "Moody, esoteric, thought-provoking and, not surprisingly literary, writer-director Cherrière is more interested in examining his main character's inner life and twisted motivation than assigning blame or making statements of condemnation." 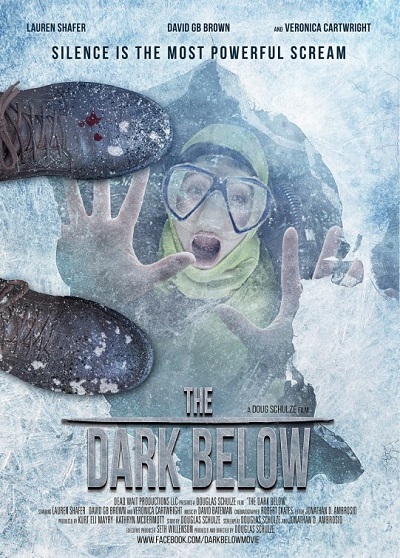 The Dark Below (USA, dir. Douglas Schulze)—In this visually stunning, dialogue-free, experimental thriller set on Michigan's wintry frozen Great Lakes, a brutish serial killer imprisons his still-living latest victim in the watery depths. Thus begins a uniquely chilling story of survival and shocking revelation. This accomplished experiment in narrative storytelling tears every convention apart. You haven't seen anything like it. Co-starring Veronica Cartwright. World Premiere. IMDb. Facebook. 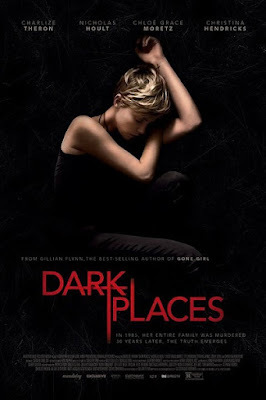 Dark Places (UK / France / USA, dir. Gilles Paquet-Brenner)—Fantasia will be presenting a special screening of Gilles Paquet-Brenner's stylish adaptation of Gillian Flynn's mystery thriller Dark Places, which reunites Charlize Theron and Nicholas Hoult following their appearance together in a certain innocuous Australian road movie. The film's impressive cast also features Christina Hendricks, Chloë Grace Moretz and Tye Sheridan. IMDb. Wikipedia. Facebook. At Variety, Peter DeBruge makes it clear that Gillian Flynn's second bigscreen adaptation (after Gone Girl) is a "more routine Kansas-set chiller", with Charlize Theron as its damaged-goods heroine. "As heroines go," DeBruge writes, "it's refreshing to get one as complex as this: When psychologically scarred female characters do turn up in thrillers, they're usually little more than shivering victims who set a group of male cops in motion, but here, Libby does her own detective work, while [Christina] Hendricks lends star power to the flashback scenes." Jordan Mintzer's bottom line at The Hollywood Reporter: "A strongly cast, slickly made screen adaptation with more plot than profundity." 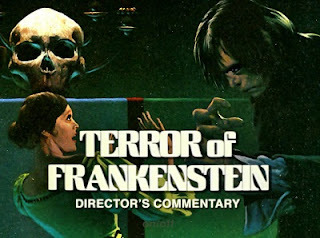 Director's Commentary—Terror Of Frankenstein (USA, dir. Tim Kirk)—A new lesson in cinephilia eccentricity brought to you by the team behind Room 237 and The Nightmare. While recording a commentary track, the director and the screenwriter of a forgotten—but authentic—Frankenstein movie recall a tragedy that occurred on set, a brutal crime that continues to terrify its witnesses decades after the fact. International Premiere. Official site. IMDb. Facebook. At Bloody Disgusting, Patrick Cooper writes: "Trust me when I say you've never seen anything like Director's Commentary: The Terror of Frankenstein. Like he did (as a producer) with Room 237, director Tim Kirk gets the audience to watch a film in a whole new context—warping our sense of what we're seeing on screen by placing a commentary over it that explores the horrific incidents during the making of the film and years after it wrapped. By presenting a sincere account of fictional events surrounding a real film, Kirk and his team completely break down the definition of 'meta' to create a truly unique experience that will probably leave a lot of people's heads sore from all the scratching." German Angst (Germany Dir: Jörg Buttgereit, Michal Kosakowski, and Andreas Marschall)—Three of German Cinema's most ferocious underground talents have united to assault the screen with a deathly triptych of tales set against the evolving backdrop of Berlin. Featuring Jörg Buttgereit's return to narrative filmmaking after a 22-year hiatus. Official Selection: Rotterdam International Film Festival. North American Premiere. Official site. IMDb. Facebook. At Twitch, Ard Vijn cautions that viewers approach German Angst with a tough stomach, patience, and a thick skin. At Cineuropa, Thomas Humphrey frames that "the films in German Angst make a touching homage to the Buttgereit world view. They're full of the gore that many of his fans will be longing for. But they're also full of the critical slashes that more discerning viewers will be seeking." 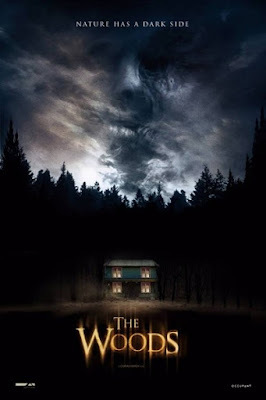 The Hallow / The Woods (UK, dir. Corin Hardy)—A family who moves into a remote millhouse in Ireland unwittingly enter a fight for survival with pale-skinned demonic entities living in the foreboding woods. Superb practical monster FX buoys this intensely scary film, perhaps the best creature feature out of the UK since The Descent. Official Selection: Sundance, Seattle International Film Festival. Canadian Premiere. Official site. IMDb. Wikipedia. At Variety, Geoff Berkshire writes: "It takes time for The Hallow to get rolling, but once it reaches a bang-up final act, genre fans could walk out clamoring for a sequel." At The Hollywood Reporter, David Rooney adds: "As first films go, this one is visually energized, dynamically paced and discerning in its cine-literate references. It's also a kickass calling card for Hardy as he moves on to bigger projects." Haruko's Paranormal Laboratory / Haruko chôjô genshô kenkyûjo (Japan, dir. Lisa Takeba)—One day, as Haruko is zapping, her television unexpectedly transforms into a beautiful, shirtless, TV-headed stud! Welcome to Haruko's Paranormal Laboratory, a personal and inventive vision signaling Takeba as Japan's new Queen of Quirk. Official Selection: Rotterdam, Hong Kong, Yubari. Canadian Premiere. IMDb. 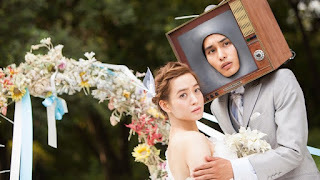 At Twitch, Ard Vijn complains that Haruko's Paranormal Laboratory "drowns in quirk", though conceding "a fun time was had by most" at the film's Rotterdam screening. He Never Died (Canada, dir. Jason Krawczyk)—Punk icon / author / spoken-word master Henry Rollins stars as a mild-mannered reluctant cannibal who tries to keep to himself yet ends up targeted by the mob. Co-starring Kate Greenhouse (a Fantasia award-winner for The Dark Hours). Official Selection: SXSW. International Premiere. IMDb. Wikipedia. Facebook. At Fangoria, Michael Gingold writes: "The casting of Henry Rollins as an age-old cannibal promises an angry bloodbath, but the surprise and delight of He Never Died is how much deadpan humor the star and the movie have to offer … a terrific against-type showcase for Rollins, using his established persona and intimidating appearance to create automatic expectations that it then playfully subverts." 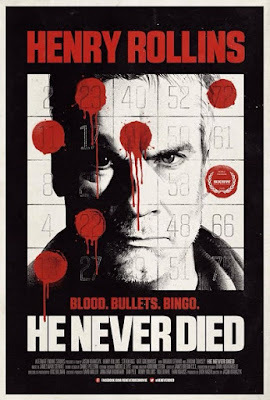 At Nerdist, Scott Weinberg characterizes Rollins as "a force of nature" and adds: "While Rollins' performance is excellent throughout all of He Never Died, the true surprise here is writer / director Jason Krawczyk and his fascinating, funny, and consistently entertaining movie." 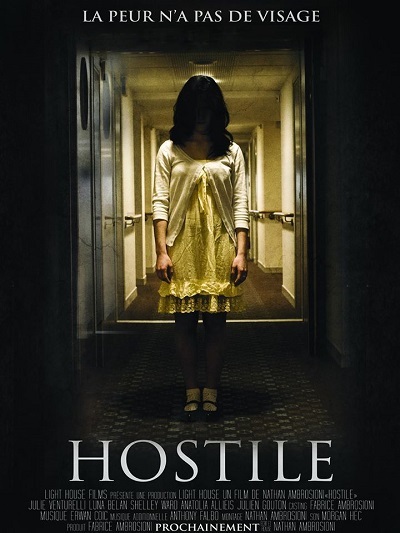 Hostile (France, dir. Nathan Ambrosioni)—One of the most talked about horror works at the Cannes Film Market this year, Hostile marks the impressive debut of 14-year-old director Nathan Ambrosioni. A TV show host answers the call of a mother terrified of her two adopted daughters. What starts with the familiar slowly builds into a poignant horror tale. International Premiere. IMDb. Facebook. The Invitation (USA, dir. Karyn Kusama)—One of the smartest, scariest and most engrossing genre films in recent years, The Invitation is a masterpiece of ingeniously calculated, character-driven horror storytelling. Karyn Kusama is back, and she's never been better. Official Selection: SXSW. Canadian Premiere. IMDb. Wikipedia. At Variety, Justin Chang writes: "This teasingly effective thriller represents director Karyn Kusama's strongest work in years." At Twitch, Peter Martin remarks: "The sincerity and craft on display notwithstanding, the movie achieves a limited, unsettling level, and then stops right there." Ju-On: The Final Curse (Japan, dir. Masayuki Ochiai)—Directly following last year's Ju-On: The Beginning of the End, this harrowing conclusion of Director Masayuki Ochiai's reboot of J-Horror's most beloved franchise generously brings all the goodies expected from fans. Prepare to squirm, screech and shudder because Toshio and Kayoko are determined to finish business with panache. International Premiere. Official site [Japanese]. IMDb. Wikipedia. Manson Family Vacation (USA, dir. J. Davis)—Two mismatched brothers tour Hollywood's notorious Charles Manson murder sites. One is a devoted family man and the other is devoted to The Family (yeah, that one!). When the bickering duo takes an eventful road trip, get ready for a hilarious (and kinda creepy!) "Odd Couple meets Helter Skelter" movie, produced by indie faves the Duplass Brothers. Official Selection: SXSW. Canadian Premiere. IMDb. Facebook. At Variety, Justin Chang describes J. Davis' Manson Family Vacation as a "slender but engaging seriocomedy" supported "in no small part by his two lead actors, who are wholly convincing as two men whose bond is ultimately far thicker, and deeper, than blood; Phillips is particularly good, sporting a scraggly beard, a mischief-making grin, and a mad-scientist twinkle in his piercing blue eyes that can seem menacing and affectionate by turns. It's a measure of the film's dramatic balance as well as its emotional integrity that both of these men will wind up eliciting the viewer's sympathy and scorn at different points, so that by the end of Manson Family Vacation, we have arrived alongside them at a crucial point of transition and understanding—not the most surprising destination, perhaps, but one that feels entirely earned." At The Hollywood Reporter, John DeFore says the film is "funny and modestly charming" and adds: "Far less sensationalistic or cutesy-provocative than its title suggests, the film borrows its subject's infamy to add gravity to some family drama but does so in a good-hearted way." The Master Plan / Jönssonligan—Den perfekta stöten (Sweden, dir. Alain Darborg)—In this action / heist / revenge comedy, Charles Ingvar Jönsson (a character popular in Swedish films since the early '80s) gathers three seemingly incompatible criminals to take vengeance upon the slippery creeps who killed his beloved uncle. North American Premiere. IMDb. Wikipedia. Meathead Goes Hog Wild (USA, dirs. Kevin Cline, Zach Harris, Sean Pierce)—Don't let the quirky title fool you, this is a visceral, heartfelt and violently confrontational slice of urban hell and personal apocalypse, detailing a young man's breakdown over the course of a single terrible night in one of America's most segregated cities. Think a socially conscious Falling Down by way of Combat Shock. World Premiere. IMDb. 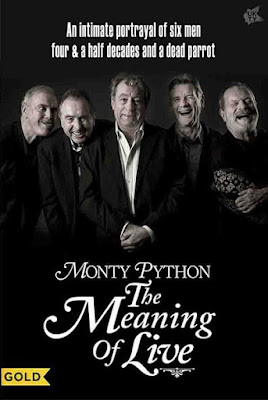 Monty Python: The Meaning Of Live (UK, dir. Roger Graef, James Rogan)—This love letter to Python fans goes behind the scenes of last summer's record-setting live reunion and final tour of the Beatles of Comedy. Graef and Rogan interview all the surviving Pythons and special friends, plus chart the group's history on stage. Dead parrot included! Official Selection: Tribeca Film Festival, Hot Docs. Quebec Premiere. Official site. IMDb. At Variety, Dennis Harvey writes: "Gold for fans, though unlikely to mean much to anyone else, The Meaning of Live chronicles the reunion of surviving Monty Python's Flying Circus members as the famed comedy troupe plays its first live shows in 34 years. … Their pleasure in each others' company is infectious, though any viewers previously unfamiliar with the absurdist material are likely to wonder just what all the fuss is about." John DeFore's bottom line at The Hollywood Reporter: "An unrevealing but enjoyable doc for fans." DeFore adds: "Prep scenes are interspersed with footage from the many previous live events and tours, with tales from the road balanced against the ever-present concern the group had about carrying on past the point where they had something new to contribute." 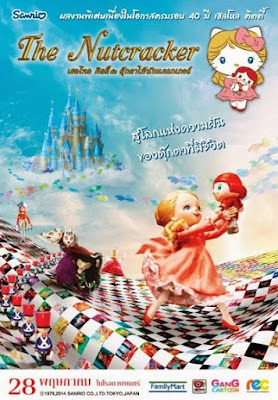 The Nutcracker 3D / Nutcracker Fantasy (Japan, dir. Sebastian Masuda)—Sanrio's 1979 stop-motion holiday movie, remixed, revamped, and rebooted by Sebastian Masuda, Harajuku's "Godfather of kawaii." A deliciously psychedelic pop-art phantasmagoria of super-sweet, candy-colored cool. North American premiere. IMDb. Wikipedia. On the White Planet / Chang-baek-han eol-gul-deul (South Korea, dir. 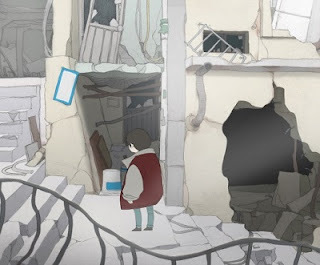 Hur Bum-wook)—A brooding existential nightmare unfolding within a densely detailed landscape of surreal biological monstrosity, animator Hur Bum-wook's award-winning debut feature is an intense and troubling tale of violence and vulnerability, hope and despair. Winner of the Grand Prix award for Best Feature Film at the Holland Animation Film Festival 2015. Canadian premiere. IMDb. 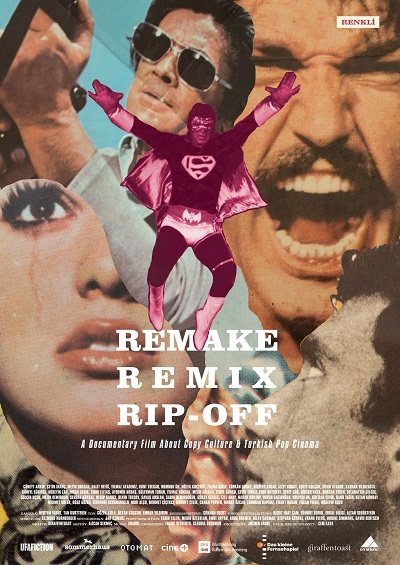 Remake, Remix, Rip-Off: About Copy Culture & Turkish Pop Cinema (Turkey / Germany, dir. Cem Kaya)—Turkey in the 1960s-'70s churned out more movies than possibly any other country, often without a single page of original material! Get ready for bizarro Turkish knockoffs of E.T., Dracula, The Wizard of Oz, The Exorcist, Rambo, Superman, Star Trek and more, informatively chronicled in this thorough and uproarious documentary. Official Selection: Locarno Film Festival. North American Premiere. Official site. IMDb. At Variety, Peter DeBruge writes: "Raucous, rowdy and regrettably scatter-brained, Cem Kaya's side-splitting essay film Remake, Remix, Rip-off marks a noble albeit disorganized effort to convey the appeal of vintage Turkish pop cinema to the world at large. As with the sensory-overload Ozploitation docu Not Quite Hollywood, admission is worth it for the clips alone." At The Hollywood Reporter, Neil Young agrees a re-edit is required. At Indiewire, Jessica Kiang responds more as a fan: "Kaya spent seven years making his film, and the breadth of his knowledge of his subject (he is the son of Turkish immigrant parents who grew up watching these films as VHS bootlegs that found a huge expat audience in Germany) and his affection for its excesses is palpable. Despite all the illegality, Yeşilçam embodied a kind of innocence that is pretty much gone from this changing world, but Remake, Remix, Rip Off, while it may bite off a little more than it can comfortably chew, stands a wonderfully fond, funny memorial to a lovably outlaw national film industry and the cowboys, pirates, and celluloid bandits who populated it." The Royal Tailor / Sang-eui-won (South Korea, dir. Lee Won-suk)—A potent period drama embroidered with wit and wise insights, The Royal Tailor has its high-spirited mirth and heartbreaking tragedy sewn together masterfully. A great script, a great cast—and a truly wondrous array of magnificent garments! Official Selection: Udine, NYAFF. Canadian premiere. IMDb. Wikipedia. At Twitch, Pierce Conran deems the project uneven: "The first hour, with its ample humor, snappy editing and strong tempo, is a breeze and Lee manages to up the stakes very smoothly when the relationship dynamics of the story begin to shift and intensify. The problem comes a little ways into the second hour, when the plots thickens further, ushering in a darker tone that no longer affords any space to the chicanery and levity of the preceding sequences." Ryuzo and the Seven Henchmen / Ryûzô to 7 nin no kobun tachi (Japan, dir. 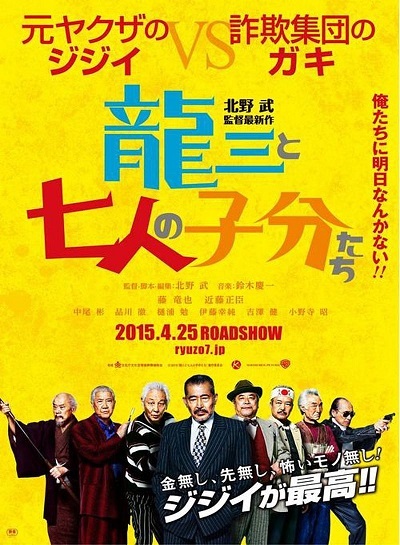 Takeshi Kitano)—Coming immediately after his Outrage saga, Takeshi Kitano's hilarious crime story stars screen legend Tatsuya Fuji (In the Realm of the Senses) as a retired yakuza who realizes that the only way to break the monotony of his daily life is by reuniting with his old gang. This is a funny and heartfelt meditation on growing old that only the master of Japanese cinema could deliver. International Premiere. Official site [Japanese]. IMDb. Wikipedia. At The Japan Times, Mark Schilling praises Tatsuya Fuji's lead performance: "Though looking every one of his 74 real-life years, Fuji brings a volatile energy to proceedings that would otherwise be merely absurd ... when he starts raging against the dying of the light, look out for flying debris—and prepare to laugh." Scherzo Diabolico (Mexico / USA, dir. Adrián García Bogliano)—The director of Late Phases, Here Comes the Devil and Cold Sweat is back, re-teaming with Francisco Barreiro to deliver a savage black comedy / thriller that will leave audiences breathless. Official Selection: Tribeca Film Festival, Stanley Film Festival. Canadian Premiere. IMDb. Facebook. At Fangoria, Madeleine Koestner writes: "There's a fine line between being darkly humorous and downright disturbing, and Scherzo Diabolico tiptoes along it like a tightrope. Viewers with leanings toward the sadistic side of cinema might find themselves laughing out loud (full disclosure: I did), but most probably won't find much of the film to be a humorous matter; it gets dark. Very, very dark. The narrative heads in directions that may seem a little more familiar than in some of Bogliano's other sagas, but as he has done so well many times before, the writer / director completely subverts your expectations by the end. The tale traverses an insane path, and although a certain amount of logic might get left behind, it stays true to its own twisted morals and fable-esque reality." Patrick Cooper concurs at Bloody Disgusting: "Like his other films, Scherzo Diabolico sees Bogliano savoring the chance to subvert genre expectations. 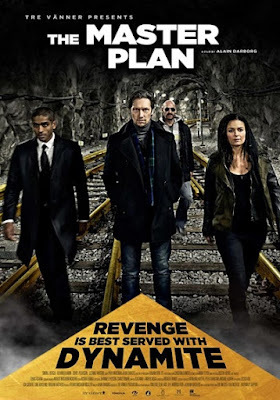 Revenge films are always in style and many of them are painfully formulaic. You won't find any of that here. Bogliano's story begins with what appears to be a kidnapping plot and then proceeds to sucker punch the audience's moral compass into a bleeding pulp." The Shamer's Daughter / Skammerens datter (Denmark, dir. Kenneth Kainz)—A captivating medieval fantasy from Denmark, directed by Kenneth Kainz (Parterapi) and scripted by the great Anders Thomas Jensen (Adam's Apples, Brothers, After the Wedding), The Shamer's Daughter tells the tale of a young girl who has inherited her mother's supernatural ability to make people ashamed of themselves by staring into their souls. International Premiere. Official site. IMDb. Socialphobia / So-syeol-po-bi-a (South Korea, dir. Hong Seok-jae)—Social media has scary consequences for two police-tech students and an Internet troll in this masterfully executed first feature film by Hong Seok-jae. Filled with stunning twists and keenly constructed characters, Socialphobia ranks among the best independent Korean films in recent years. Winner of the NETPAC and DGK Awards at the Busan Film Festival. Quebec Premiere. IMDb. At Twitch, Pierce Conran headlines that Socialphobia "effectively blends social agenda and genre tropes." As an intriguing qualification, however, he notes: "From an aesthetic standpoint, the film suffers from its onscreen representation of the many social media messages that litter the frame. Like many other contemporary filmmakers, Hong has trouble coming up with an effective way of showing these messages. While he refrains from close-up shots of people's phone screens as they type, the way the messages pop up on the screen with a ping on the soundtrack soon becomes distracting." Some Kind of Hate (USA, dir. Adam Egypt Mortimer)—Ronen Rubinstein, Grace Phipps, Sierra McCormick and Noah Segan star in a bloody tale of a bullied teen sentenced to a juvenile delinquent camp that happens to be haunted by the murderous spirit of a victim of bullying. Official Selection: Stanley Film Festival. Canadian Premiere. IMDb. Facebook. In his rave Fangoria review, Ken W. Hanley keenly observes that "the rise in supernatural horror coincided with the retroactive vilification of the slasher archetype" and that Some Kind of Hate arrives as the long-awaited "adrenaline shot to the dying heart of the slasher." Evan Dickson interviews Mortimer for Collider. 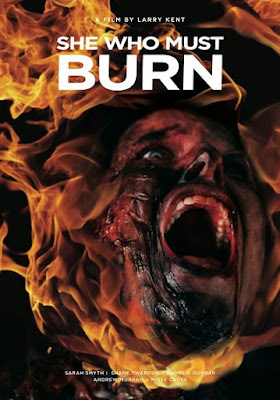 She Who Must Burn (Canada, dir. Larry Kent)—Director Larry Kent (The Bitter Ash, High, The Hamster Cage), Canada's first underground filmmaker, has been making uncompromising works for 52-years. Now, he has made his first full-on horror film, a harrowing tale of organizers of a Planned Parenthood clinic under violent attack by fanatical evangelists. World Premiere. Official site. IMDb. Facebook. Slumlord (USA, dir. Victor Zarcoff)—Directed by newcomer Victor Zarcoff and produced by the team behind the acclaimed Funeral Kings (Fantasia 2010), this study in terror brings Rear Window to the digital era. A young couple slowly fall apart, unbeknownst that their creepy landlord is scrupulously watching them through hidden surveillance cameras. Wonderfully acted by a cast straight out of a Tobe Hooper film, this domestic nightmare builds suffocating tension by exposing the fragility of our intimacy in today's world. IMDb. Facebook. Synchronicity (USA, dir. Jacob Gentry)—The long awaited solo feature debut from Jacob Gentry, co-director of The Signal, Synchronicity is, in a word, brilliant. Chad Mcknight, AJ Bowen, Brianne Davis and Michael Ironside star in this individualistic and astonishing sci-fi Noir about a physicist who folds time, travelling into the past to prevent the theft of his invention. World Premiere. IMDb. The Taking (UK, dir. Dominic Brunt)—Two financially struggling independent businesswomen fall prey to a brutal money lender in this hard-hitting, vicious and socially conscious thriller that balances gripping drama and ferocious shock value to powerful effect. Desperate times call for desperate measures. Official Selection: Leeds Film Festival. International Premiere. IMDb. At The Digital Fix, Spike Marshall writes: "Desperation is a terrible thing and you only need to watch a handful of prime time adverts to see how prevalent it is in society. Payday loans, PPI claims, and low interest rate credit cards are everywhere and prey on the weak and needy. As such The Taking which focuses on two market stall holders fight to survive after running afoul of a loan shark feels exceptionally timely." Further: "Whilst The Taking isn't a horror movie like Brunt's début feature Before Dawn it uses a lot of the language and style of the genre. Nearly every character in the film is either aggressor or victim and the film uses vignettes dotted throughout the first act to slowly ratchet up the tension." At Flickering Myth, Gary Collinson encourages: "A strong second feature from Dominic Brunt, The Taking should go from strength to strength, considering its strong debut at Leeds International Film Festival this year. A foreboding thriller obviously influenced by the best in the genre, it's an assault on the senses that no movie fan should be without." 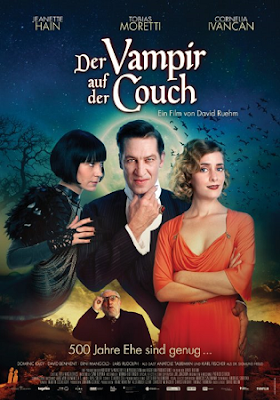 Therapy For A Vampire / Der Vampir auf der Couch (Austria, dir. David Rühm)—In 1930s Vienna, an infamous vampire count turns to none other than noted psychoanalyst Sigmund Freud to help him deal with various romantic entanglements. This delightful and sumptuously produced horror comedy evokes the Hammer Gothics of yore and Polanski's classic Fearless Vampire Killers. A must for old-school fangbangers! Official Selection: Zurich Film Festival. Canadian Premiere. Official site. IMDb. At EyeforFilm, Luke Shaw writes: "You wouldn't expect to find any kind of feminist message in a supernatural comedy set in 1911 Vienna, but Therapy For A Vampire manages it without detriment to its main premises. …It's hard to wrinkle your nose at a kitsch vampire comedy that doesn't rely on base humor to get its giggles." Traders (Ireland, dirs. Rachael Moriarty, Peter Murphy)—A freshly unemployed worker from an asset management firm creates a website on the dark web, designed to appeal specifically to the financially obliterated. "Better than suicide", it promises. 'Trading.' One of the most blackly subversive social satires to antagonize the screen in years, Traders is smart, violent, empathetic and angry. The feature debut of Irish filmmaking team Rachael Moriarty and Peter Murphy, starring Killian Scott (Calvary), John Bradley (Game of Thrones), Nika McGuigan (Philomena) and Barry Keoghan (’71). International Premiere. IMDb. Wild City / Bou Chau Mai Sing (Hong Kong, dir. 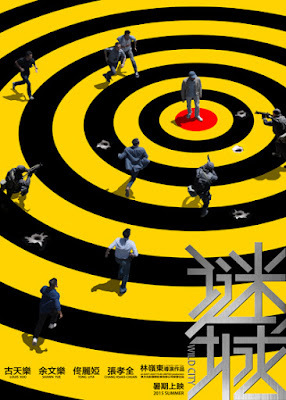 Ringo Lam)—It's been a long wait, but the dark god of hard-edged Hong Kong cinema is back. Alongside John Woo and Tsui Hark, Ringo Lam was key in defining the spirit of HK film in the late '80s. Now, after a 12-year hiatus from feature filmmaking, he's ready to show the world once again what happens when high-octane action and a hard-knock social conscience collide. Centerpiece Presentation. Canadian Premiere. Official site. IMDb. Wikipedia. Facebook. For Film Comment, Grady Hendrix and Hiroshi Fukazawa interview Ringo Lam on the set of Wild City.